Most people understand that driving under the influence is not only against the law, but dangerous as well. When it comes to boating under the influence, however, the laws and risks are not as well-known. Alcohol is often present on boats, especially on Florida lakes and waterways on holiday weekends. Boats are different from cars, where open containers of alcohol cannot be present. Boating under the influence (“BUI”) is a serious issue in Florida. People sometimes do not understand that alcohol consumption can have serious consequences for the boat’s driver. Though driving a boat on water is different from driving a car on the road, they both require high degrees of awareness, concentration, coordination, and judgment — all of which can be diminished by alcohol. According to a Coast Guard study, alcohol is the leading cause of boating fatalities in the United States. But a boater does not need to be involved in a crash, or even be operating his or her boat recklessly, to face a BUI charge. A significant difference between BUI and DUI is that a law enforcement officer ordinarily needs “reasonable suspicion” of illegal activity to pull over a car. 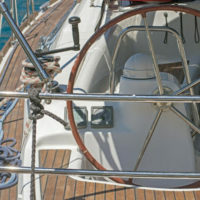 In most circumstances, however, officers can stop a boat to conduct a safety inspection, check for compliance with license and registration requirements, or make sure that the boaters have not exceeded the catch limits for fish or lobsters, without having any reason to suspect a violation. If the officer becomes concerned that the driver has had too much to drink, a routine stop can turn into a BUI investigation. A law enforcement officer may stop any vessel to check for compliance with boating safety equipment and registration requirements and to conduct resource inspections in accordance with state law. Under Florida Statutes, Section 327.35, a person is guilty of BUI if operating a vessel in this state while under the influence of alcoholic beverages to the extent that his or her normal faculties are impaired, or with a breath or blood-alcohol level above .08. This is the same as the legal limit for driving a car. The criminal penalties for BUI are very similar to those for DUI. Upon a first BUI conviction, assuming there was no crash, the penalties include up to 6 months in jail, a $500-$1000 fine, 50 hours of community service, impoundment or immobilization of the vessel for 10 days, probation, and attendance at a substance abuse course along with any recommended evaluation and treatment. There are enhanced penalties for having a breath or blood-alcohol level above .15 or having a minor on the boat. For a second BUI conviction, the maximum jail sentence increases to 9 months and the fine increases to $1000-$2000. A third BUI conviction within 10 years of the last conviction, or a fourth BUI conviction at any time, is a third-degree felony punishable by up to 5 years in prison. If the defendant was involved in a crash causing property damage or personal injuries, the maximum jail sentence increases to 1 year. If the crash caused serious bodily injury, the BUI becomes a third-degree felony punishable by up to 5 years in prison. If the crash caused death, it is called BUI Manslaughter and is either a second-degree felony punishable by up to 15 years in prison or a first-degree felony punishable by up to 30 years in prison. Get help from the aggressive criminal defense lawyers at Perlet & Shiner, P.A. To schedule a consultation, call our office at 561-721-0552 or fill out the online form.